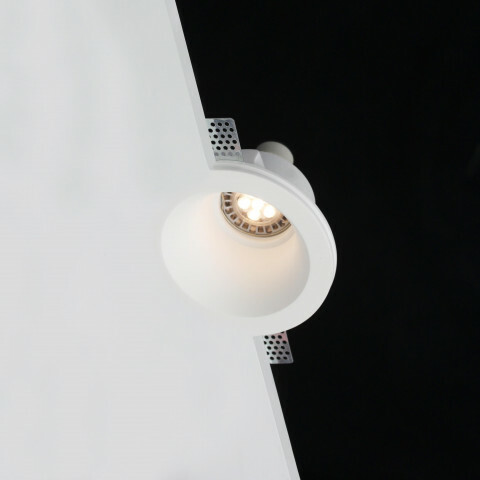 What Makes A Tornado Light Fitting? 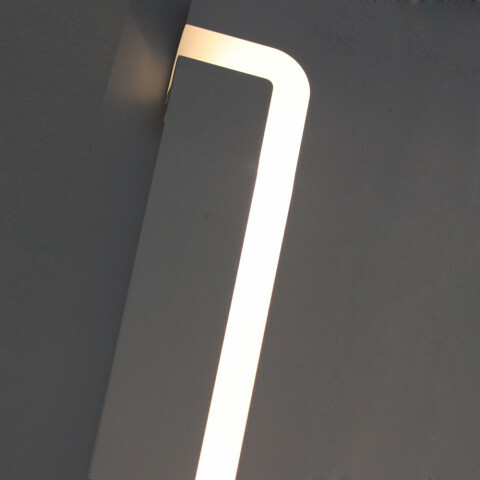 Whilst there are other luminaires on the market that may appear similar at first glance, a quick look under the surface reveals why our 40+ years of experience make our designs unparalleled and unrivalled. Hand cast and hand finished using traditional techniques, the plaster shell is manufactured from a unique plaster composite blend to achieve a durable structure, with super-fine surface finish. Fully paintable for matching walls if required. 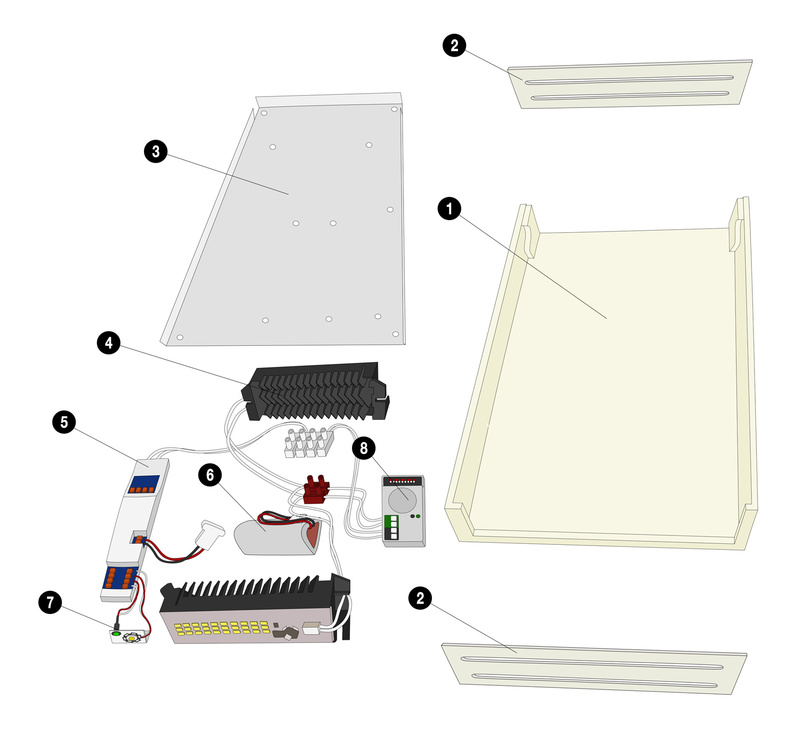 The plaster shell can be removed by lifting it off to reveal all the components for installation and servicing. With ventilation slits to allow an air convection current to pass across the components, for efficient cooling and maximum lifespan. Fitted prior to hanging the plaster shell to avoid damage during decoration. Featuring earthing point for maximum electrical safety. a. Heat sink thermal cooling fins for efficient heat dissipation. b. Integrated LED driver board. 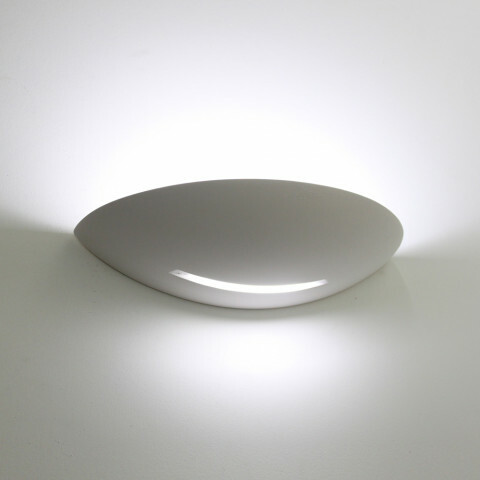 c. 30 on board LED diodes per module, outputting a total of 13w warm 3000k colour balanced, high CRI light. Manufactured by Liteplan, the inverter module ensures the backup battery pack is continuously kept charged during normal power operation. The module immediately activates the auxiliary emergency LED when a power loss is detected. This battery pack consists of 3x long life Ni-MH batteries and is able to provide sufficient power to illuminate escape routes for 3 hours in the event of an emergency. 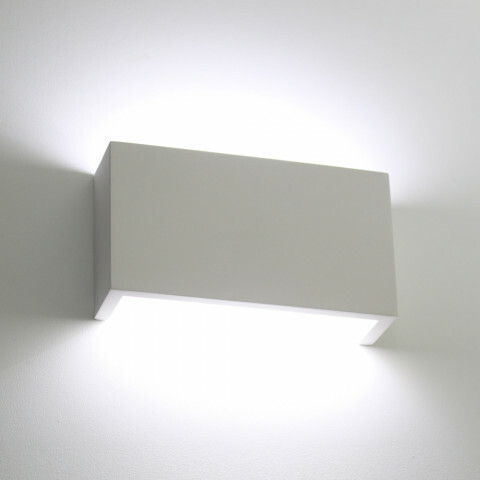 Fitted with a 1.2w Cree LED to provide dedicated emergency illumination, as well as a secondary status indicator LED to provide a subtle visual indication that the emergency system is fully operation and charged in order to provide complete peace of mind. Allowing switchless operation and energy saving, this optional module detects human presence and only switches on when required. The duration and proximity of the switching can be configured using the on-board dip switches to achieve 4096 combinations to suit any application.